We believe that systematic progression, high quality coaching and the empowerment of each individual will bring our entire community consistent results. Spindle is a different business model that harnesses technology to bring the value of one on one training into a community focused facility. 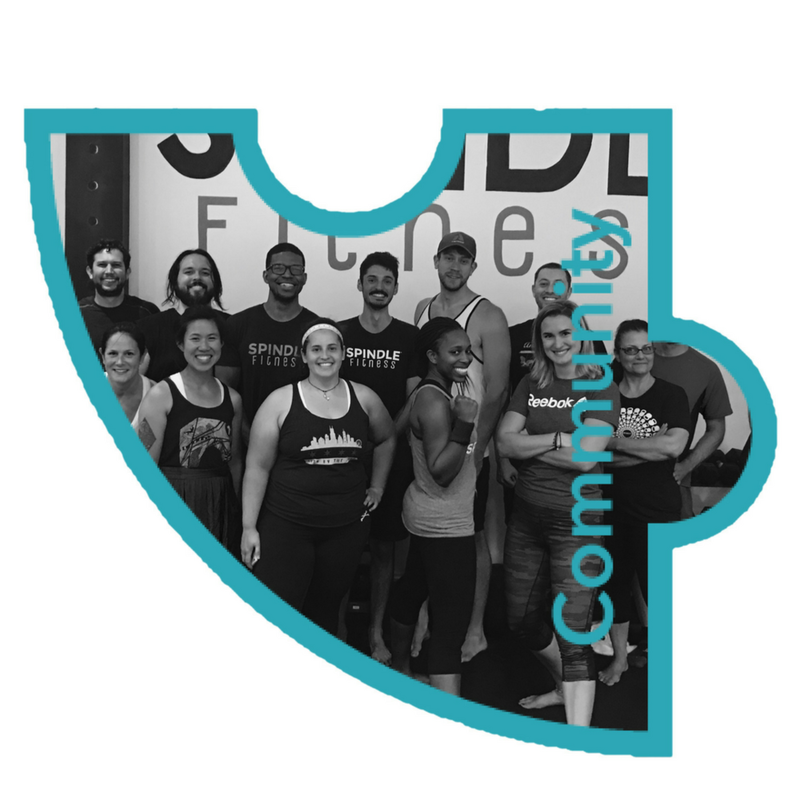 Spindle operates on four basic pillars: Individualized Programming, Expert Coaching, Flexibility, and Community. We craft your individualized fitness programs and consistently re-calibrate them as we learn more about you and see you progress. We load your Spindle App so you can access and execute your workouts at the convenience of your schedule and location. There is a trainer working with you and a great community to enjoy in our facilities. We are a fun and focused community. We want you to be a part of it! Want to learn more about us? Check out our team page or our Frequently Asked Questions. Customized to your goals, body, competence and mindset. We meet you where you are today and progress you efficiently towards a better future. We have created a community focused environment that values hard work, attention to detail and supporting each other. Be inspired and supported by other members as you work on yourself. Experts teach you proper set up, movement and background of each exercise in that day’s program. We also provide support, guidance and encouragement when needed. We understand - exercise is not typically your top priority. Life has many demands which is why we provide the flexibility to execute your program when it fits your schedule.